19"/2U tube preamp, MOSFET power amplifier 450W, graphic EQ. With up to 450 watts and the sweet sound of tubes, The Ampeg SVT-3PRO is a bass guitar amp head combining great Ampeg valve tones with a solid state poweramp to produce authentic Ampeg tones with modern versatility. The Ampeg SVT-3Pro offers a single channel with a switchable Hi/Lo input, a -15dB pad and a Bright switch. There are controls for Bass, Midrange and Treble, with a 5-way Midrange Frequency control for choosing one of five distinct midrange voices. Also included is a switchable 9-Band Graphic EQ, providing more options for sculpting the perfect tone, and offering a 'second' channel for changing the amp's tone for solos. 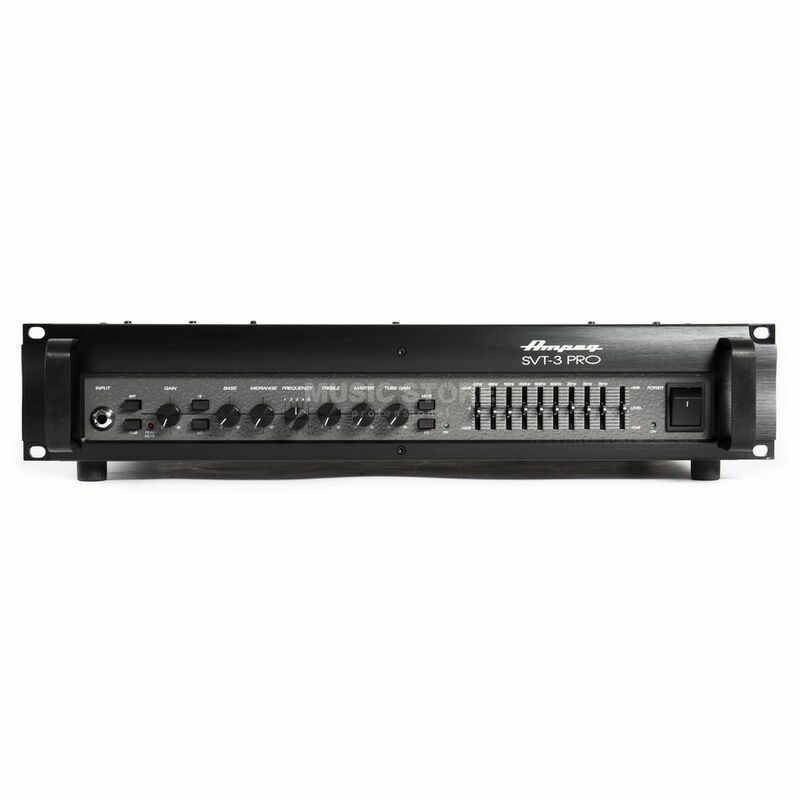 The Ampeg SVT-3PRO is designed for the player who wants SVT tone and performance (with a few modern enhancements) in a convenient rackmount design. Robert Trujillo (Metallica) and Les Claypool (Primus) are just a couple of the world-class artists that proudly depend on the SVT-3PRO to get their ideal sound.